We chose this book because it gives us ideas on how to make Valentine’s Day cards for our classmates. We are very excited about our Valentine’s Day party and excited about giving Valentine’s Day cards to all the students in our classroom. 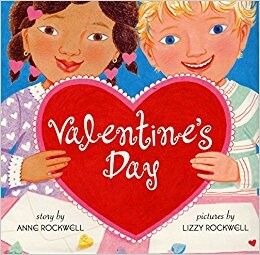 We think that Valentine’s Day is a day to show caring and love and this book really showed us that. 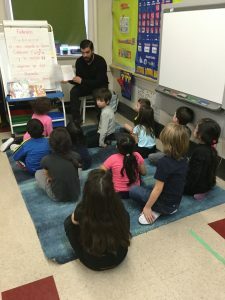 The book is set in a classroom, so we made the connection to our classroom on how we can prepare for Valentine’s Day just like the students in the book. We chose this book because it shows the meaning of love. 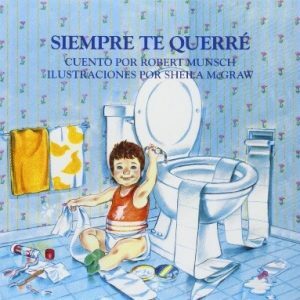 This book is the Spanish version of the story “I will Always Love you” by Robert Munsch. 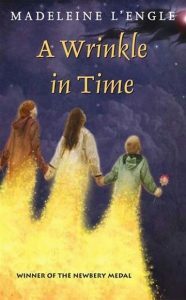 As we read this book, we liked how we saw the boy and the mother of this book grew through time. We liked how the mother showed her love towards her child by singing him the same lullaby. It shows how much love the mother had towards the boy even when he was an adult. We made the connection that the story can continue with the boy becoming an adult and having his own children. He can continue singing the same lullaby to his children and his children can continue with their children. 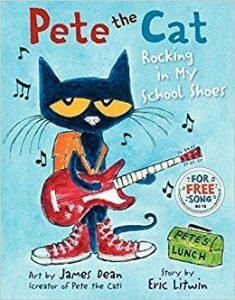 We liked this book because Pete the Cat was playing the song on his guitar. In the pictures you could see he was practicing adding numbers, just like us! We liked this book because it had neat pictures. 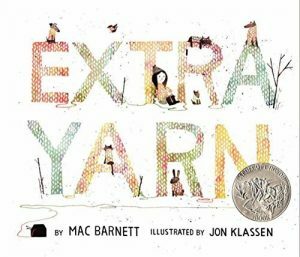 We liked how the yarn only worked for the nice character, Annabelle, and not the mean Arch duke! He was rude! 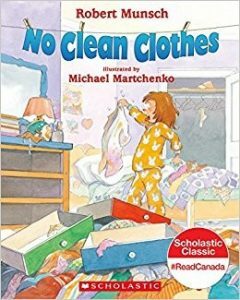 Room 15’s favourite book was No Clean Clothes by Robert Munsch. The book made us laugh. It was funny when all the animals kissed the girl. Live your life as a bucket filler. 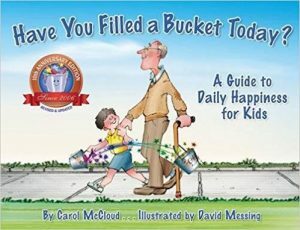 Filling a bucket goes a long way toward helping other people feel good about themselves. When you fill a bucket your own bucket gets filled too! 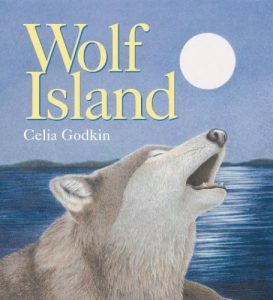 We liked reading this book because it talked about what wolves eat. We were sad when the wolves sailed away from the island. We learned that wolves help control how many deer are on the island by eating the hurt ones. 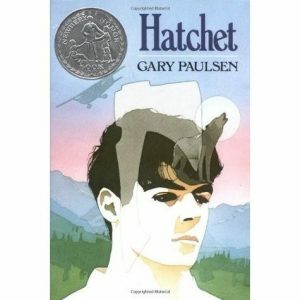 For the months of December and January we read the book Hatchet by Gary Paulsen. This adventurous book is about Brian Robeson who had many problems when taking a small passenger plane to visit his dad in the Canadian wilderness. It was a fantastic story with many animal encounters and survival tips. If you are curious to know more, read the book to find out! We highly recommend it! We chose A Wrinkle in Time for our January book. We are enjoying reading a Science Fiction book! We can’t wait for the movie to come out in March! 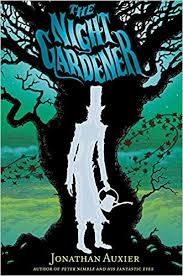 We decided on Night Gardener (by Jonathan Auxier) because it is a very unique piece of writing. The book has a really interesting plot that grabbed our attention. It is about a tree that stands out from the rest, and a peculiar gardener that cares for the tree. All in all we rate it 10/10! Room 12: Lots of Exciting Celebrations! – ¡Muchas Celebraciones Emocionantes! During the month of February, we celebrated 100th Day twice and celebrated I Love to Read Month. 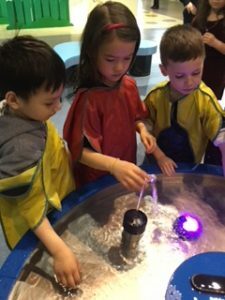 For 100th Day, we went to the Manitoba Children’s Museum where we talked about what we learned during the past 100 days, we wrote them down on little pieces of paper and put them in balloons. 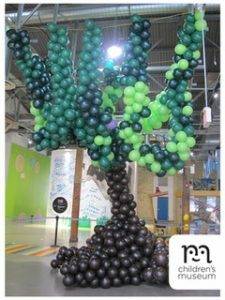 The museum created a 100th Day balloon tree with our balloons. We also had a 100 day fiesta with the Spanish kindergarten class. We had so much fun! For I Love to Read month, Wab Kinew came in and read to our school. Señora Zacharias’ uncle, Pedro, also came in to our classroom and read to us in Spanish. Thank you Wab Kinew and Pedro!! It was a fun filled February! Durante el mes de febrero, celebramos el Día 100 dos veces y celebramos el mes de I Love to Read. 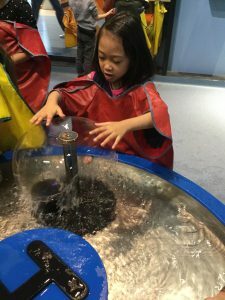 Para el Día 100, fuimos al Museo de Niños de Manitoba donde hablamos sobre lo que aprendimos durante los últimos 100 días, los escribimos en papel y los pusimos en globos. El museo creó un árbol del globo número 100. También tuvimos una fiesta de 100 días con la clase de kínder en español. ¡Nos divertimos mucho! 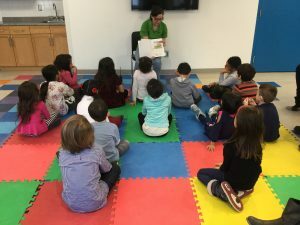 Para el mes de I Love to Read, Wab Kinew llego y leyó a nuestra escuela. También el tío de la señora Zacharias, Pedro, vino y nos leo en español en nuestra clase. ¡Gracias Wab Kinew y Pedro! ¡Fue un mes lleno de diversión!